Old Bisbee was built adjacent to two stream channels. 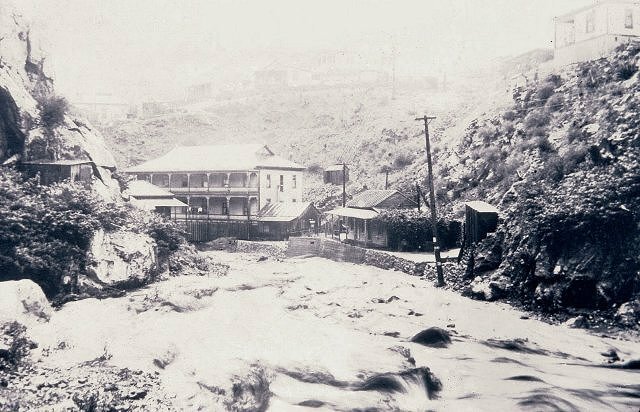 During the summer rainy season floods often roared down Tombstone canyon. A drainage channel later solved the problem.